Indie sandbox MMO Fractured is moving another step down the development line: It’s just announced the start of its alpha next week. To get into the test at this stage, you’ll need to have purchased a Knight pack – that’s about $168 US. Cheaper packs, of course, will get you into some of the future phases. Dynamight Studios does warn that a lot of core systems are missing from the game at this stage – including the skill-learning system, political systems, parties, guilds, monster loot, trading – so just be warned this is a true early test. On the other hand, there’s no NDA, so the team isn’t hiding from criticism. Fractured was funded for $130,000 on Kickstarter last summer. Its alpha was originally slated for 2018 but was delayed back in November as the game entered pre-alpha instead. The title also had a bit of a scare back in January thanks to the spat between Unity and SpatialOS, but the company has since confirmed that it’s still working with both. It’s a pretty complicated sandbox and an ambitious endeavor for a small team; we’ve previously covered its astronomy, horizontal leveling, races, and anti-grind/anti-forced-PvP philosophy. I definitely am interested in this game but am willing to wait the long haul to let them build up as much as they can before releasing it. Sure, there would get to be a point a number of years down the line where I may get worried. But I’m more worried about having enough development time to make a really decent game and be fun at release. I forget if I’m in this early or not, I need to go look up and see which pack I upgraded to, but I won’t jump in this early as I’m more interested in playing than helping to test. I don’t have that much extra time to put into testing and feedback really at the moment. Really a fan of this Dev team. Impressed they are getting something out the door relatively soon after Kickstarter. I hope Alpha brings in more funding . These guys work hard and have some great concepts. I wouldn’t mind pay-to-test if the product is buy-to-own. That can happen if games are also b2p and actually do release. Sure its the best scenario but we never get guarantees with games in development. That said these 2 devs I met during my time at Linkrealms(which was the best gameplay UO-like by the way) are good and straighforward so I do have faith they will make it good. They actually got some good ideas on how to make the game good both for PVP and PVE players after going through trial and error in Linkrealms on that aspect. 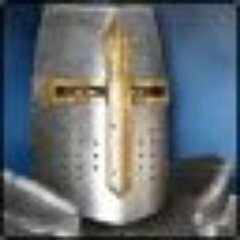 Many people in the last two pre alpha tests are just active forum members. So to be eligible you did not necessarily have to buy a package.